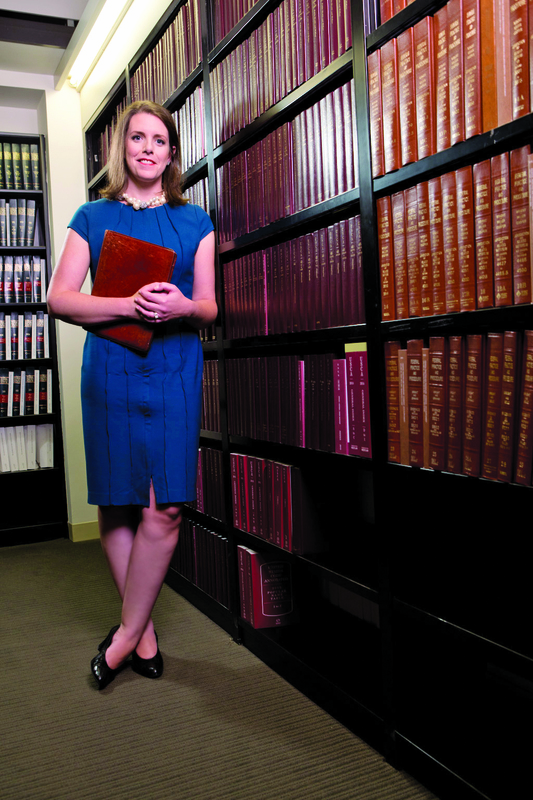 For Corinne Heggie (JD ’01), practicing law is more than a passion; it is in her DNA. Heggie’s grandmother was a student in DePaul’s College of Law in the 1940s when it was uncommon for a woman to work outside of the home, much less aspire to a career in a male-dominated field. Although she did not graduate, she did inspire Heggie, a dedicated, hard-working and equally driven lawyer, to pursue her own education and thrive as an attorney. Heggie is now a partner at Hinshaw & Culbertson LLP in Chicago. Within her commercial litigation practice, she’s worked on cases big and small that involve debt buyers, debt collectors, background investigation companies, lawyers, mortgage servicers and lenders. Regardless of the size or scope, Heggie takes on each case with a powerful devotion to her job and her client. Heggie credits her own mentors, in part, for the development of this philosophy. She makes a conscious effort to be available as a mentor for new lawyers through her work as a director and member of the Women’s Bar Association of Illinois. The organization gives her an opportunity to reach lawyers she might not otherwise meet.